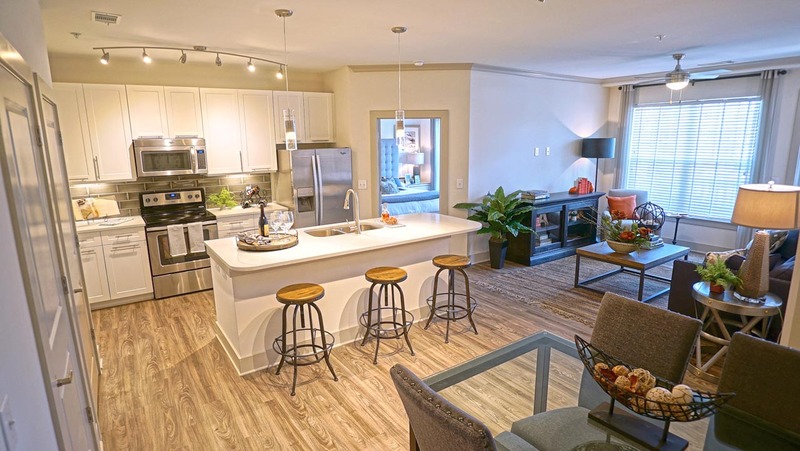 Luxury Apartments in Richmond, VA - Tour Avia Apartments Today! Are you looking for luxury apartments in Richmond, VA? We’ve got just the place you’re looking for. With resort-style amenities, a concierge service, beautiful, brand-new construction, and lavish décor, fixtures and appliances, you’ll quickly fall in love with Avia. Touring Avia will make you feel as if you’re on a weeklong vacation at a 5-star resort. 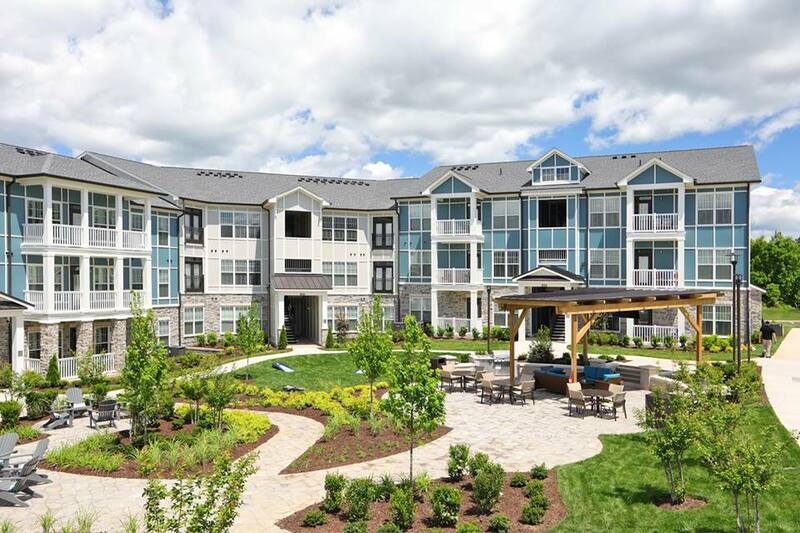 With construction completed in Spring of 2017 in Richmond VA’s upscale Short Pump neighborhood, our luxury apartments still shine like the day we welcomed the first member into our community. Richmond, Virginia is known for its hot and humid summers. Relax under one of Avia’s poolside cabanas. Enjoy a refreshing dip as the sun sets. Or just grab a book and wind down for the evening. 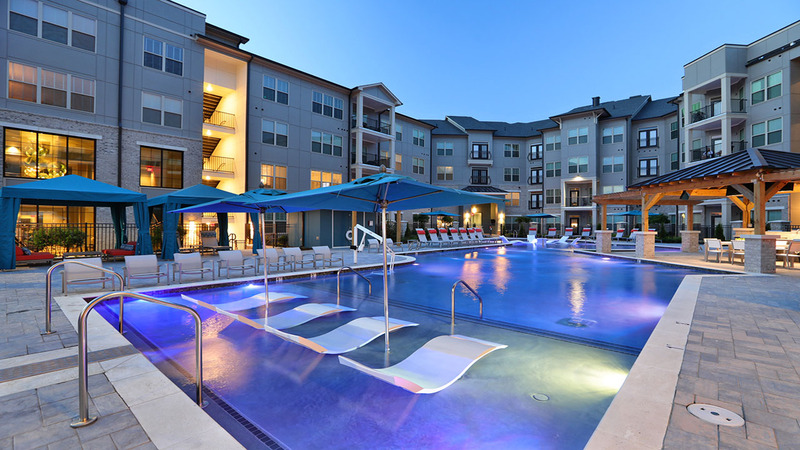 Avia Apartment’s luxury pool lit up at dusk. Avia cares about the details. Our stainless steel appliances, french patio doors, European-style walnut, granite countertops, front-load washer & dryer, screened-in porch and 42″ cabinets leave nothing to the imagination. Avia has designed one of the most elegant interiors of any of the luxury apartments in Richmond. One of Avia’s luxury apartment Richmond floorplans. Whether your idea of a “little one” is a toddler or a puppy, Avia has you covered. From our outdoor playground & leash-free dog park to our indoor game rooms & pet spa, there’s something for everyone. It truly is entertainment for the whole family! Avia’s pet amenities are some of the best you’ll find of any luxury apartment in the Richmond, VA area. 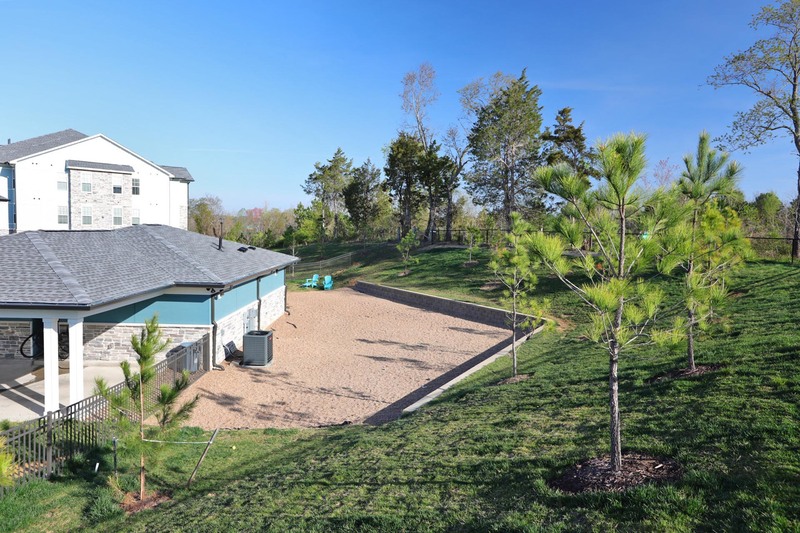 Our leash-free dog park in Richmond, VA @ Avia Apartments. All of these incredible features put Avia among the best luxury apartments in Richmond, VA. Book a tour today and experience luxury! © 2019 Avia Luxury Apartments in Richmond, VA. All Rights Reserved.